Treasures of Laos: What about the bus from Vientiane to Luang Prabang? Be aware of spirits! VIP buses: Depart 08.00, 9.00, 20.00. Costs: 140 000 to 170 000 kip one way, 10 hours. You will get a bottle of water, a small snack and will stop for a lunch. Air-con Buses: 06.30, 07.30, 09.00, 11.00, 13.30, 16.00, 18.00, 19.30. Costs: 120 000 to 130 000 Kip, 10 hours. 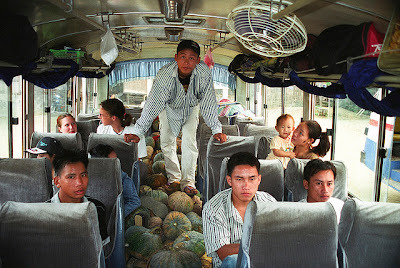 Local Bus: 11 hours, 70 000 Kip. 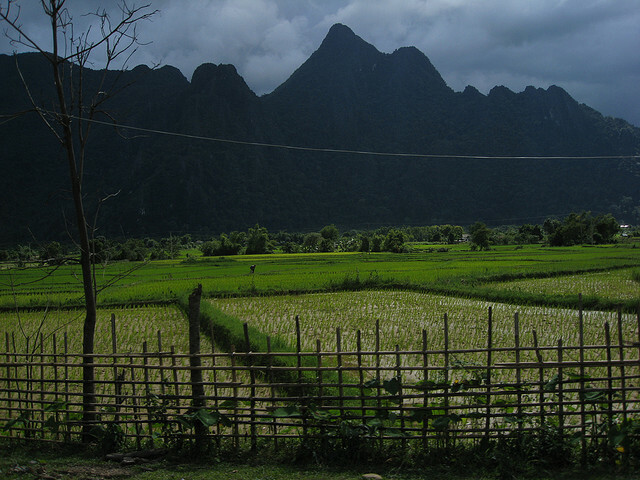 Mini Buses: To Vang Vieng, there you have to catch another Mini Bus to Luang Prabang. 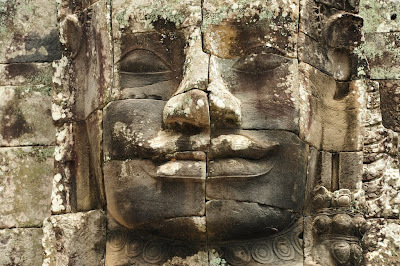 Ticket includes pick-up from hotel or guesthouse at around 10.00 or 14.00. Costs: 60,000 Kip). 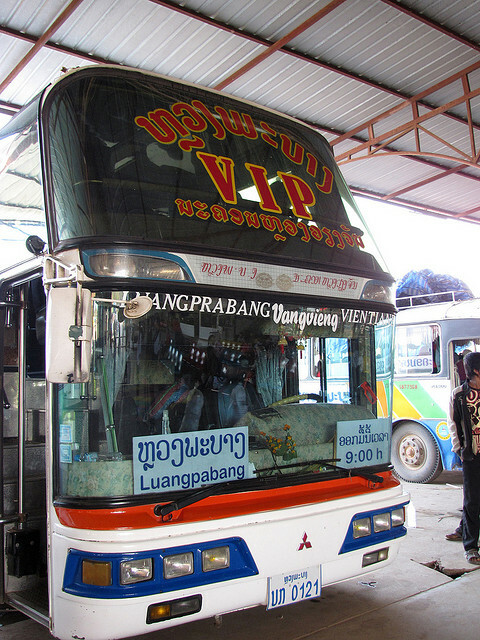 In Luang Prabang buses leave at Naluang Bus Station. VIP buses: 08.00 and 09.00. Express Buses: Depart 06.30, 08.30, 11.00, 14.00, 17.30, 18.30, 19.30. But why does the bus take 10 hours for 384 km on a road, that is mostly paved? "It soon became clear", notes Safari mkubwa sana! : "There are numerous deep pot holes scattered randomly around. Some pot holes take minutes to cross and the bus driver generally needs to drive quite slowly to spot them before it's too late." Worse: During the rainy season there can be interruptions of the road by land slides or trees falling on the road. In august 2011 a land slide has entirely swept away a stretch of road. "Buses are forced to stop on either side of the landslide, and passengers walk across to join another bus on the opposite side. As the buses have to stop at points where they can turn round, the total distance to walk is around 1.5-2km", writes lhm on Thorntree Forum. 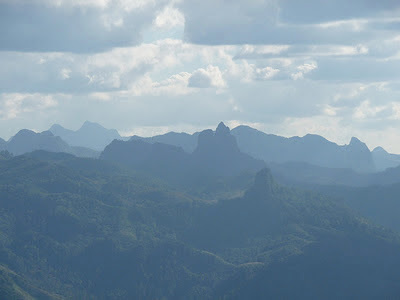 This seemed to be between between Kiew Kacham and Phou Khoun. See picture of the interrupted street and one more and more here. And why did it happen? 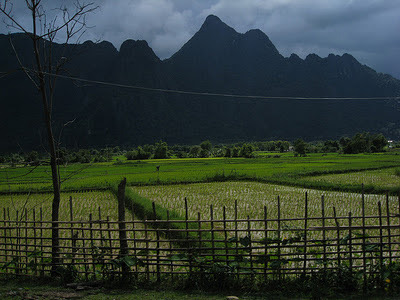 "A lao friend told me that the landslide was caused by spirits/ghosts who were not happy that the people in a village nearby ate a very big snake", notes tictocchoc on Thorntree. More views on videos on youtube 1, on youtube 2. Or have a look at pictures on this blog. And well, if you want to fly, there are daily flights by Lao Airlines.